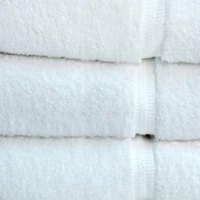 Hospitality establishments need bulk towels to ensure their guests stay dry and comfortable after swimming in the pool or taking a shower. 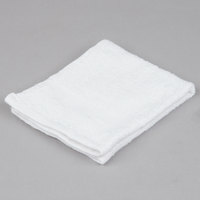 We offer towels in many materials, including cotton, polyester blends, and ring spun cotton. Choose your towel based on the material and the quality, like economy, standard, or spa type towels. 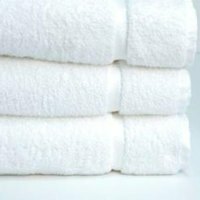 With these options, you can find hotel hand towels and bath towels plush enough to keep your guests comfortable without breaking your budget. 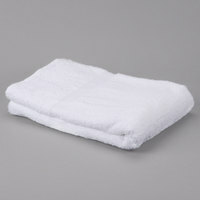 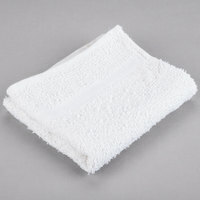 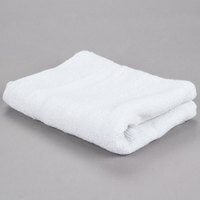 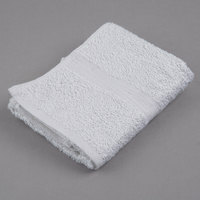 In addition to bath towels, we offer a variety of wholesale hand towels, bath robes, bath mats, and washcloths. 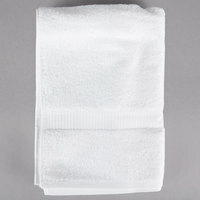 Thanks to this variety, you can provide all the linens your customers need to dry off and stay warm after swimming, sitting in a hot tub, showering, or simply washing their faces. 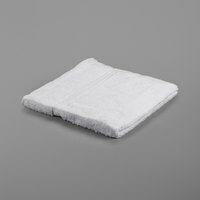 Our bath mats will also keep guests from slipping after they step out of the bathtub or shower, which will prevent them from getting injured. 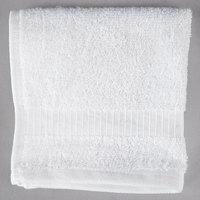 73 1 - 6 Lb. 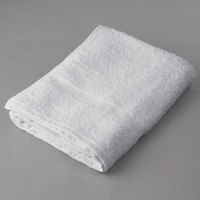 83 6 1/2 - 15 Lb. 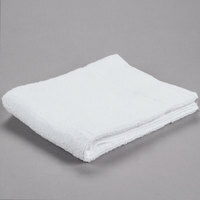 50 15 1/2 - 40 Lb. 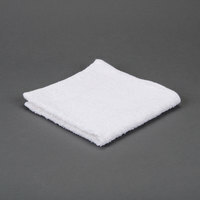 Made of 100% open end cotton, this washcloth is ideal for high-use areas. 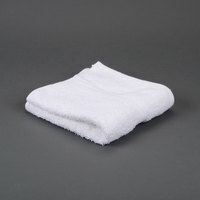 It’s an economical choice that allows you to offer your guests a quality product without breaking the bank. 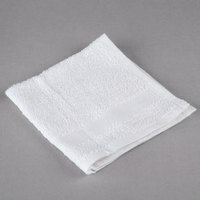 Made of 100% ring spun cotton, this washcloth is stronger and softer than those made with open end cotton. 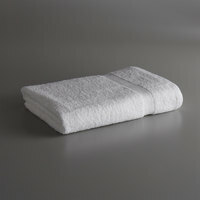 It’s suitable for hotels, health clubs, spas, and other locations where better quality is desirable. Made of 100% open end cotton, this hand towel is ideal for high-use areas. 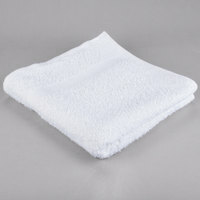 It’s an economical choice that allows you to offer your guests a quality product without breaking the bank. 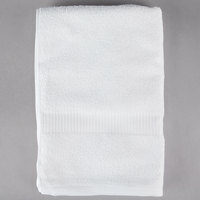 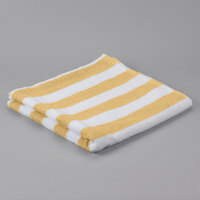 Made of 100% ring spun cotton, this hand towel is stronger and softer than those made with open end cotton. 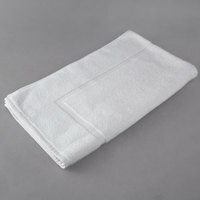 It’s suitable for hotels, health clubs, spas, and other locations where better quality is desirable. 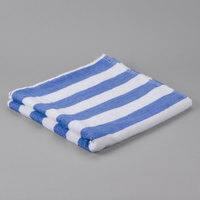 Made of 100% open end cotton, this bath towel is ideal for high-use areas. 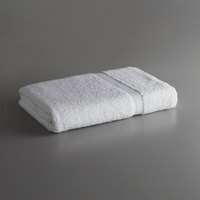 It’s an economical choice that allows you to offer your guests a quality product without breaking the bank. 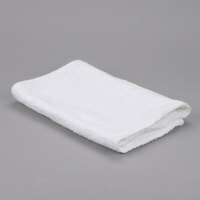 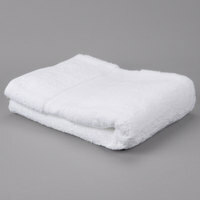 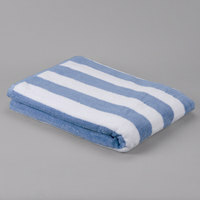 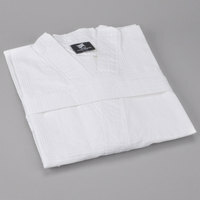 Made of 100% ring spun cotton, this bath towel is stronger and softer than those made with open end cotton. It’s suitable for hotels, health clubs, spas, and other locations where better quality is desirable.